Luxury travel Archives | Stratos Jet Charters, Inc.
Read more about Stratos and trending topics in the jet charter industry. How do the aviation industries develop and maintain sustainable air travel? Like many 21st century industries, Stratos Jet Charters and our peers in the corporate jet charter industry are striving towards environmental sustainability. New technologies, practices, and insights are reducing our impact on the environment. Some of these environmental concepts seem visionary, others are just common sense. Both travelers and travel providers have a shared responsibility to pursue the best alternatives for the future. Here are three ways the commercial airline and corporate jet charter industries are developing sustainable air travel. There are two recent initiatives in the aviation industry that address aircraft emissions. The first is CORSIA, the Carbon Offsetting and Reduction Scheme for International Aviation. 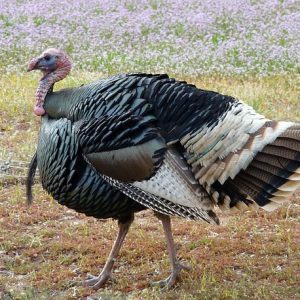 The plan is designed to offset aircraft carbon emissions by planting trees and using alternative, non-petroleum fuels. More than 70 countries representing 85% of international aviation have volunteered to participate. The program is being phased in, starting in 2021. The second initiative was launched in Norway last year. In July 2018, Norway’s transport minister Ketil Solvik-Olsen took a short flight in a two-seat plane made by Pipistrel, a Slovenian company. What was unique about this flight was that the aircraft was entirely powered by electricity. By 2040, Norway intends all short-haul flights to be on electrical aircraft. And though the technology and the Norwegian initiative are still in the early stages, it demonstrates an important trend towards emission-free aviation. Corporate jet charter travelers don’t have to wait for the development of electrical aircraft to enjoy efficient air travel. 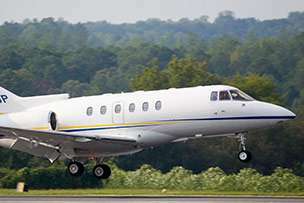 Stratos Jet Charters routinely books charters on the most fuel-efficient jets currently available. For example, in the charter airliner category, the new Boeing 777-8 is built with General Electric GE9X engines made with a ceramic matrix composite. These engines have fewer emissions and are 5% more fuel-efficient than previous engines. Similarly, in the super mid-size jet category, Brazilian manufacturer Embraer has designed its Praetor 600 line to fly further, faster. Since a large amount of fuel is burned on take-off, Embraer re-designed the jet for greater range between refueling stops. Fewer refueling hops mean less fuel wasted on multiple take-offs. Sometimes the easiest solution is the best. Technology and political initiatives can only get us so far towards reducing carbon emissions. At Stratos Jet Charters, we’ve applied a common-sense approach to reducing fuel usage. First, we recommend the aircraft best-suited for your specific trip. By customizing your corporate jet charter flight, you travel efficiently at the right altitude, on the best route, in the ideal-sized aircraft for your destination. Secondly, if we can avoid it, we don’t fly empty planes. We encourage effective fuel use by offering Empty Leg Flight discounts for our repositioning flights. If your itinerary is flexible, and one of our charter aircraft is going to your destination anyway, it makes sense to offer a discount. Our goal is to reduce the number of empty aircraft using up fuel. Time will tell what impact these new technologies and initiatives will have towards carbon reduction. But there is a strong international commitment to improve air travel every day. If you wait for the perfect future technology to be developed, you may miss some amazing travel opportunities today. Book a flight, and enjoy the most efficient air travel available right now. For an extraordinary private jet rental company that can arrange luxury charter flights anywhere in the world, call Stratos Jets—888-593-9066. Sometimes you don’t want the whole pitch; just the perks. For example, our previous blog entries have covered weighty topics such as airline regulations or international passports. 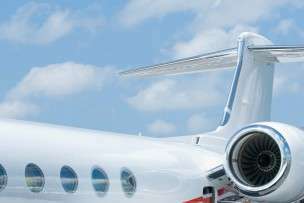 But today, let’s take a brief look at one of our industry’s most-asked questions: “What are the perks of traveling by private jet?” Here are the five top perks of flying with a private jet charter, including flying with a dog. Private jet charters can usually depart from a smaller regional airport. That means you spend less time than driving a major airport, finding the gate, and processing your luggage. The security and pre-flight check-ins are speedy, with shorter line-ups. In most cases, arriving 30 minutes before your flight is all you need. Most private jets fly as fast as commercial airliners. Smaller charter jets need shorter take-off runways, can climb to cruising altitude faster, and fly to their destination efficiently. You can work on the flight. Instead of hunching over your laptop, you can use in-flight meeting areas with tables, WiFi, satellite phones and TV screens for presentations. 4. Cargo flexibility. To conserve fuel and cargo space, commercial airlines limit what you can bring. And though private jets also have limited cargo space, there is much more flexibility. For example, if your group is going on a golf or ski holiday, we would recommend an aircraft with additional luggage capacity for your gear. Likewise, many of our charter aircraft have extra interior cabin space, so you are not limited to one carry-on bag. 5. 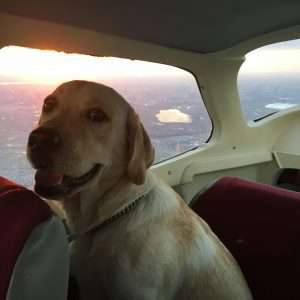 Flying with a dog. One of the most popular perks of charter jet travel is flying with your pets. 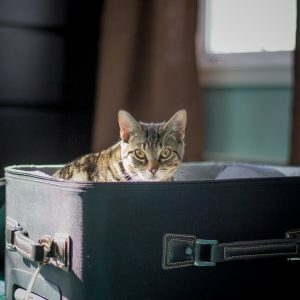 For domestic flights, your pet may need a travel crate, food, water and toys. Also, remember a leash or collar, medication and waste disposal bags. For international flights, you will need to prepare well in advance. This could include arranging documentation and vaccinations. Talk to your veterinarian for more details. 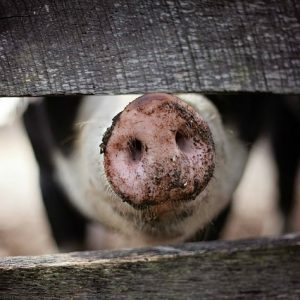 We also recommend visiting the US Department of Agriculture’s Animal and Plant Health Inspection (APHIS) website. When you are ready to enjoy these travel perks, call us. For an exceptional private jet rental company that can arrange luxury charter flights anywhere in the world, call Stratos Jets—888-593-9066. Due in part to its extraordinary self-promotion, Las Vegas remains the first choice for travelers looking for gaming thrills. And though Vegas is constantly developing new attractions to entice visitors, sometimes you just want to go somewhere different. You want to travel somewhere in the USA, but outside of the Nevada desert. 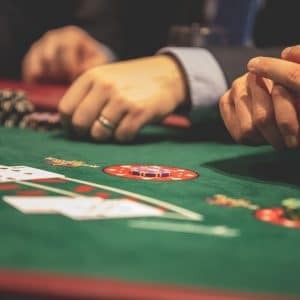 This popular Connecticut luxury casino is immense! The property is actually a six-casino resort complex, with over 9 million square feet. In addition to slots, table games, and music venues, Foxwoods boasts a thrill tower, zip-line and world-class go-carting. Perfect for thrill-seekers of all types! Foxwoods is ideal for a private jet tour from New York, with easy access to Bradley International Airport. The stunning Ocean Resort is the newest casino in Atlantic City, opening in June of 2018. Formerly the Revel Hotel Casino, the Ocean Resort was remodeled and re-branded. The new Ocean Resort features an immense 138,000 square-foot gaming area, luxurious ocean-view rooms, a spa, and several fine dining and casual restaurants. 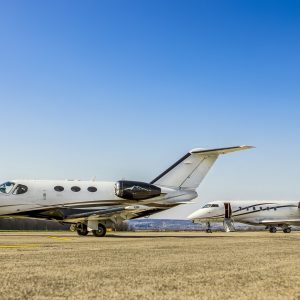 Depending on your aircraft type, you can book a private jet tour for either Atlantic City International or Atlantic City Municipal Airport. IP Casino Resort Spa is Biloxi‘s premier gaming resort destination. Winner of the prestigious AAA Four Diamond Award, this Vegas-style 32-story hotel features fabulous views of the Gulf Coast. IP’s High Limit Lounge offers exclusive gaming, a first-class menu, and private bar. Bring your golf clubs too – IP Casino Resort has partnered with nearby Shell Landing Golf Course, voted the Best in the State. Private jet tours to Lake Charles are growing in popularity, partly due to amazing L’Auberge Casino Resort. The resort offers table games, slots and a poker room, as well as a full spa and its own golf course. No visit to Louisiana is complete without enjoying the unique foods and flavors of the region. L’Auberge prides itself on the robust blend of Creole, Cajun and French cuisine in its restaurants. Thunder Valley is located in Lincoln, just outside of Sacramento. Another AAA Four Diamond winner, Thunder Valley is as large as a most Las Vegas casino resorts. The luxury hotel features four “Beaujolais” suites offering a sauna, jetted bathtub, personal exercise room, dining room, and massage suite options. The High Limit gaming salons feature dedicated dealers, private bars, flat-screen TVs, and bets from $100 to $5,000 on any game you choose. If you are ready for a luxury gaming getaway, we are ready to help you get there. When you need a private jet rental company that can arrange luxury charter flights anywhere in the world, call Stratos Jets—888-593-9066.